modern period, Dutch as well as English ones. 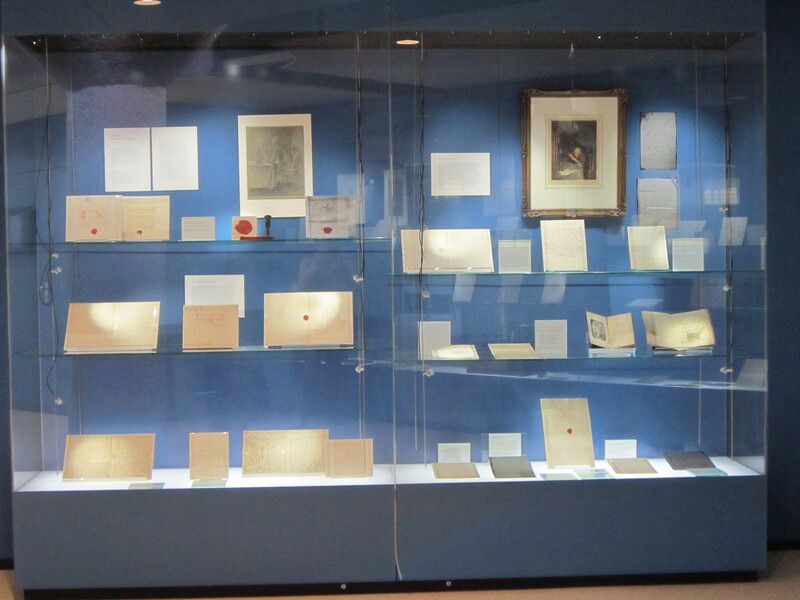 It was called Ach schrijf mij toch!, which expresses the need for letters from far-away loved ones, but letters were also on display from English scholars to their Leiden colleagues. Some famous names of letter writers include Sir Joseph Banks, James Boswell and his father Alexander Boswell, Lord Auchinlek, William Jones, Charles Darwin and many others. All letters are in the possession of the Leiden University Library. The exhibition can be visited online, though the accompanying text is entirely in Dutch, but the following image may give get some impression of what the exhibition was like. More pictures will follow. I’d appreciate help to translate the text of the online exhibition into English! Source image Sir William Jones: Wikipedia. This entry was posted in 18th-century letters, 19th-century letters and tagged language of letters, University of Leiden. Bookmark the permalink.